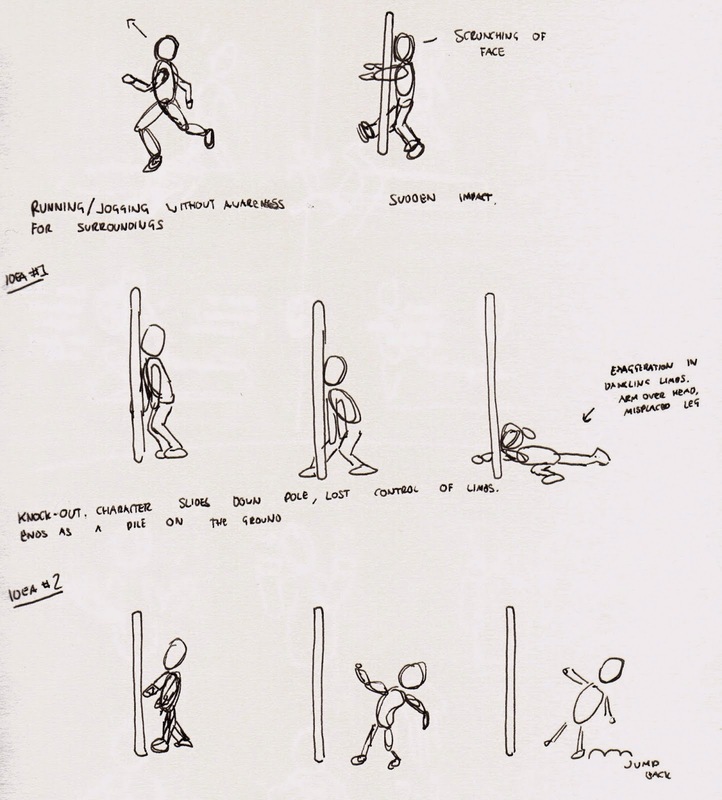 Originally I had the character being unaware of their surroundings and simply running into the pole. After some research and thought I wanted to animate a drunk person and so they would not be walking or running, more like stumbling around. 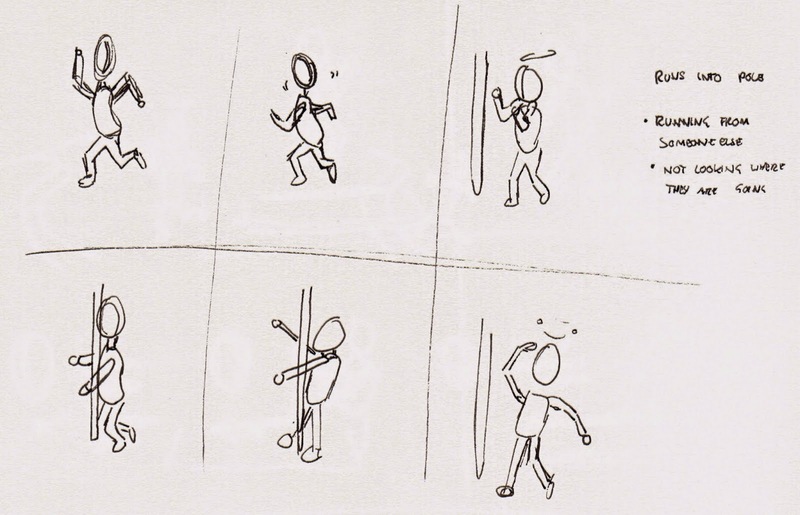 After knocking into the pole they would be dizzy and think of the pole as a person wanting to fight. I also wanted to have the character fall in the end from drunkenness and injury.